Do your thinking of change a new hairstyle such as loose wave peruvian hair ?If you have difficult on choose which style do you try, you can follow me, and here is some review of UNice loose hair review, hope it can give you some guide. 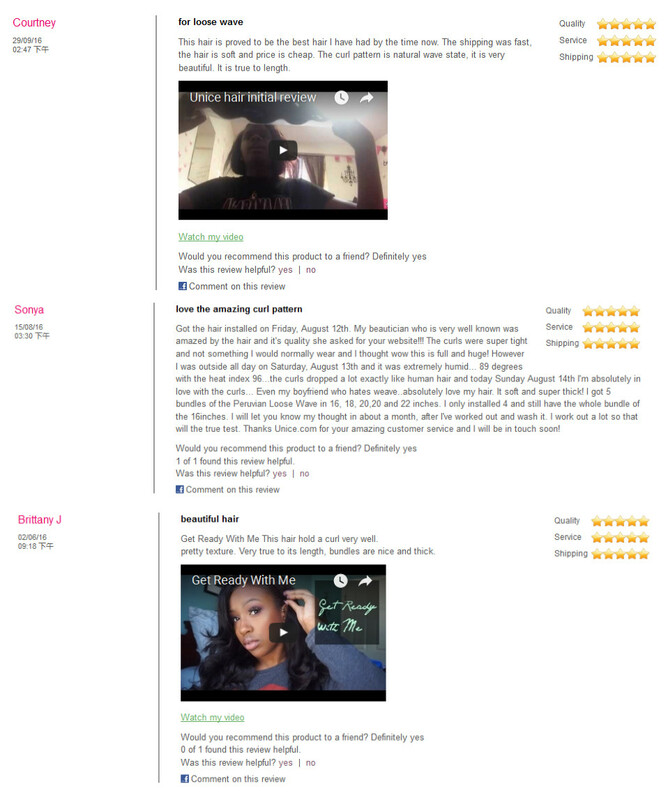 All of the reviews are wrote by our customer, UNice hair has received more and more recognition and praises no matter products , service, even more, details. Choose UNice hair, you will avoid many troubles like tangling, shedding or long time caring, etc. UNice hair treats every customer as a friend, they will solve your problem from pre-sale to after-sale patients with heart. UNice loose wave hair is 100% genuine human hair. These loose waves are luxuriously soft and bouncy! 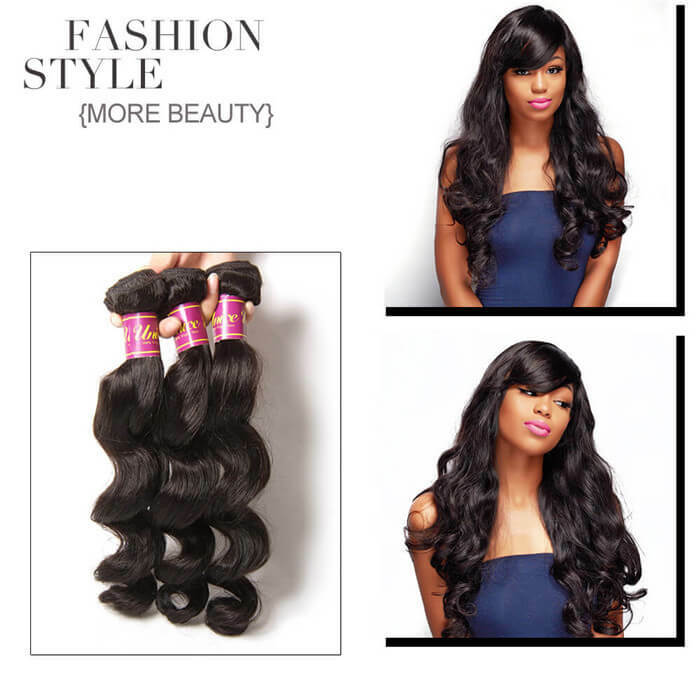 Our body wave is easily blended with most hair textures and styled easily! This is Traira Walker favorite curl pattern! UNice has an enormous variety of hair products, they are all premium virgin hair,such as hair weaves, hair extensions, wigs, closures in any style and color.Body Wave, Straight, Curly, Loose Wave, Deep Wave and Natural Wave,different hairstyles for your choice. UNice Curly Hair is 100% genuine human hair.And we promise Best quality and best service for best you!Buying with the unice code you can get 4$ off for all products! Your support is our motivation to inspire us to get forward all the time!